You’re wondering what is a duffel bag? It’s easily explained. When you think duffel, think gym or sports bag. 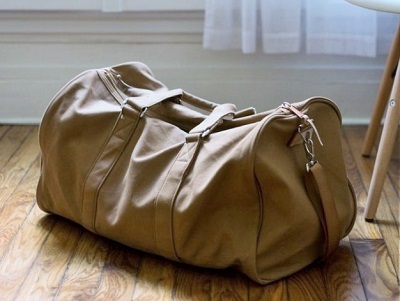 Typically, a duffel is cylindrical shaped, with top closure and two carry handles and many times a shoulder strap. The word duffel (or duffle, both spellings are accepted) originates from where the thick cloth they’re traditionally used for the bags was made, which is a small town in Belgium named Duffel.